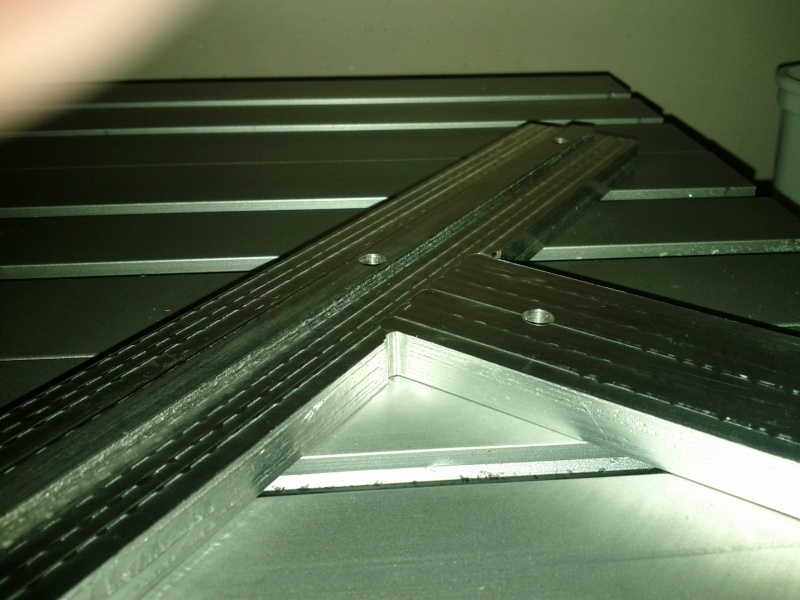 I've just finished machining my first aluminium piece. It's a bracket designed to allow a piece to be mounted onto the table but only need to have the X & Y calibrated once. By calibrated to one point, one side can be machined then flipped and placed in the opposite side which has a known offset. I'm yet to see if the bracket works like I think it should. More to come! The slot left here helps to line up the clamp to the table to keep the part to be machined aligned in the same orientation for the X&Y as the machine. There is still one part of the bracket that I still need to do which is to add some tapped hole for mounting the hold down clamps to but I'll do them next weekend. I made the facing parts of the bracket using a 4 flute 6mm end mill at 400mm/min stepping down 0.5mm at a time. I then drilled the holes using the same mill bit and originally tried cutting down at 80mm/min but found that the motor stalled and pushed the bit up in the collet. After that I just cut them moving the cutter manually (about 20mm/min). 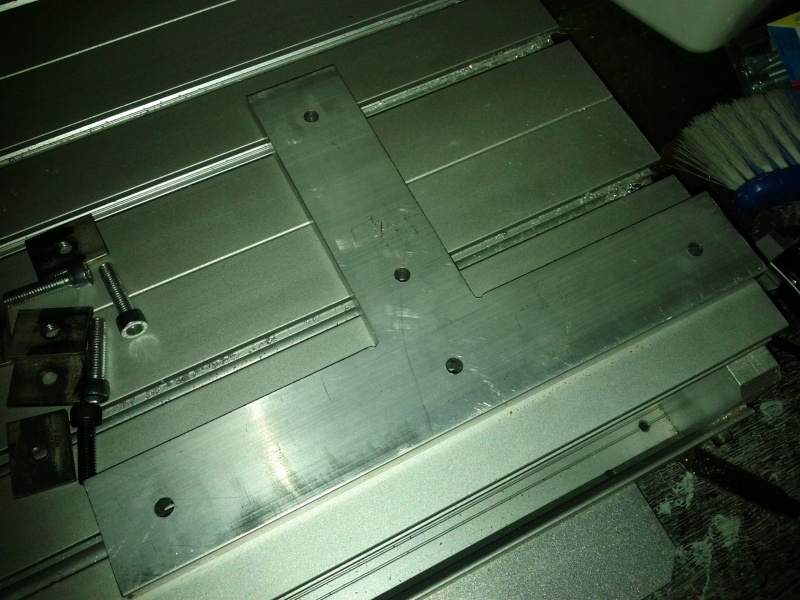 The two L bits were then cut out using a 3.175mm 2 flute end mill at 400mm/min stepping down 0.5mm at a time. The finish wasn't really as good as a found have liked.. If I was to do it again I would just use the 6mm end mill for all of it. The reason I used the 3.175 was so that the corner was cut smaller but the bit deflected more that I would have liked. Maybe getting a better quality bit would have solved it? Anyway, more things to try next time!